There’s this word in Hebrew that transliterates into English as ruah with a guttural “ch” sound at the end. Ruah can be translated into many English words, but it’s most commonly translated as wind, breathe, and spirit. It’s used throughout the Old Testament, and it conveys this amazing imagery. Ruah is the breath of God, and the breath of God is the Spirit of God, and the Spirit of God is the four winds of the earth, and the four winds of the earth are ruah. It’s one little word that encompasses a depth and breadth of meaning that are hard to comprehend, and yet all of that depth and all of that breadth come back to one central meaning – God is the source of spiritual life, and apart from God there is no life. Our English word love is kind of similar in its structure. Love has layers and colors and shapes to it that defy its four small letters. Love is romance. Love is passion. Love is commitment. Love is joy. Love is pain. Love is sorrow. Love is laughter. Love is a promise of togetherness. Love is all that and more. Love is a coded language that two hearts speak to each other even when the people themselves don’t completely understand the message. It’s kind of fun, too. 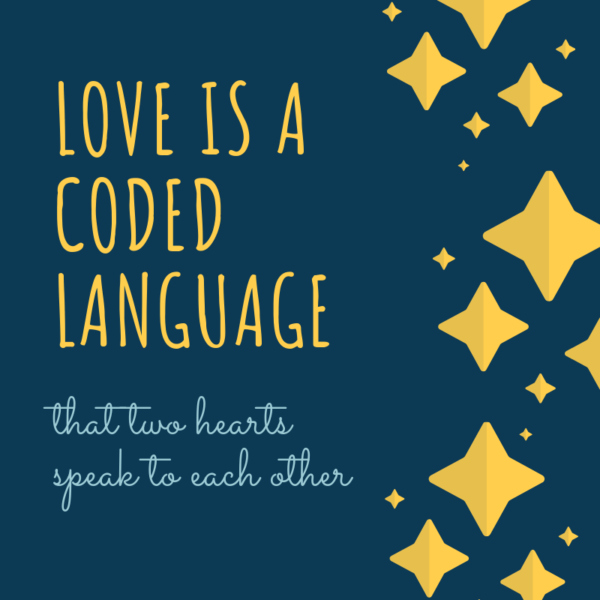 Love’s complexity is one of the reasons I enjoy writing romance novels. No matter how much we think we have this whole love thing figured out, there’s always more to discover. Love is an itty-bitty word that has a big-as-the-universe definition. 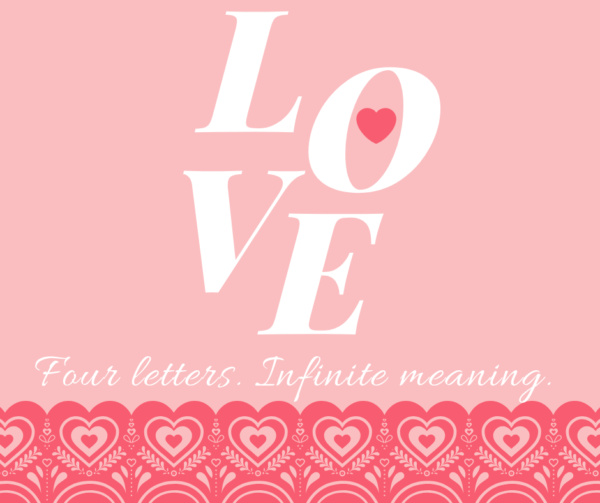 So tell me…if you had to describe the love you share with your spouse or significant other in just one sentence, what would that sentence be? How would you wrap all of that meaning up into just a few, short words? I can’t wait to read your replies! Hi Heather! Thought provoking blog. Been married 45 years and we say love is a choice. Therefore my sentence is: Love is commitment. Best wishes and Happy New Year. Beautiful post… I would say, like Renate, it is a choice and commitment. For me and my hubs, love has been a blessing. I totally agree with Renate and Paula – this was part of the pre-marriage talks we did with our kids, along the lines of: it may be hard to believe today, but there will come a day when you look at each other and think, what have I done? And that’s when a lot of marriages crumble. Love is a choice you make every single day. Love is an action verb, not a mushy feeling. It’s putting down roots to the promises you made and it takes faith. And discipline. You stay when things are hard, look ugly, feel uncomfortable or even miserable at times. A marriage grows and changes like the people in it and growth is painful sometimes. I come from a very long line of divorces so I put emphasis On the stay part. What a beautiful post I love laughter!